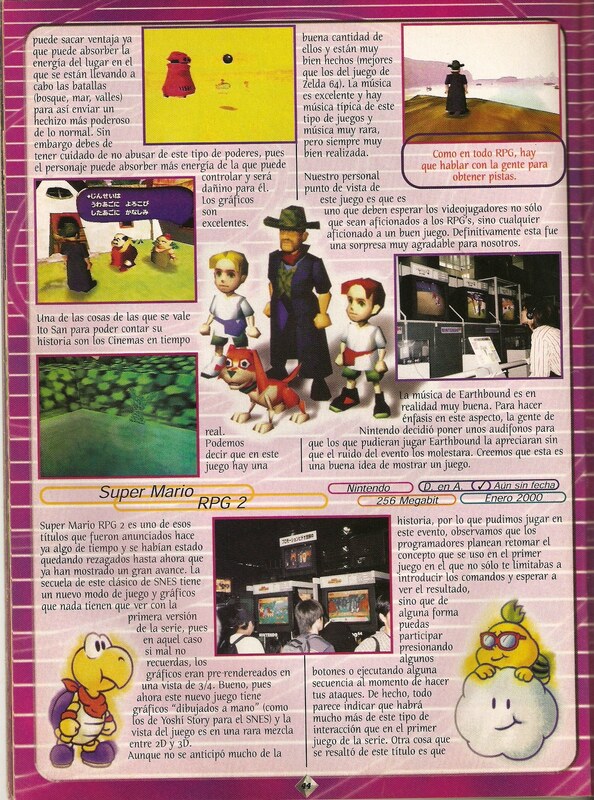 I’ve scanned an article from an old magazine I had, it’s Club Nintendo from latin america (official magazine, it’s like the Nintendo power here). it’s from october 1999, from the Space world 99 event. I’m from Argentina, by the way. 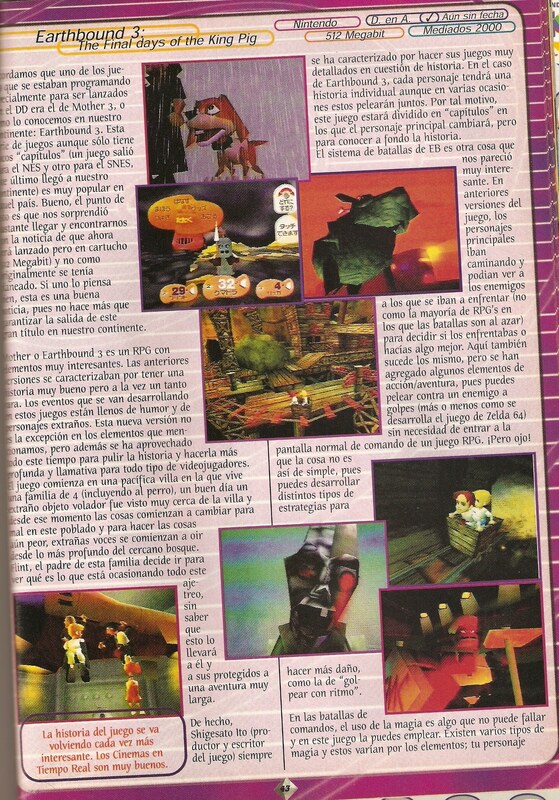 Thought it might be interesting for you to read what magazines over here said about Mother 3 at the time, I’m including a translation I’ve done myself. We remember that one of the games that were being programmed to be released with the DD was Mother 3, or as we know it in our continent: Earthbound 3 (sic). This game series, although only having a few “chapters” (one of the games released on the NES and the next one for SNES, the last one made it to our continent) is very popular in that country (Japan). Okay, point is, we’ve been quite surprised to know that the game is now going to be released on a cartidge (512 Megabit) instead of how was originally planned. Thinking about it, this is good news, since it’s like a guarantee that this great title is going to be released in our continent. Mother 3 or Earthbound 3 is an RPG with very interesting elements. The past installments were characterized by having a pretty good story but at the same time a little bit strange. Events developing in this games are full of humor and strange characters. This new version is no exception of the aforementioned elements, but also all this time as been used to enhance the story and make it deeper and interesting for all kind of gamers. The game starts in a pacific village where a family of 4 lives (including the dog), one good day a strange flying object was sighted very close to the village and since that moment things started changing in a bad way in this place and, to make things worse, strange voices start being heard from the depths of a near forest. Flint, father of this family, decides to go look what is it that’s causing all the trouble, without knowing this will lead him and his loved ones to a very long adventure. In fact, Shigesato Ito (sic) (the game’s producer and writer) has always been characterized by making his games very detailed regarding their story. In Earthbound 3’s case, each character will have individual stories, although in various occassions they will fight together. Because of this, this game will be divided into “chapters” in which the main character will change, to know the story deeply. The battle system in EB is another thing that we thought was very interesting. In previous versions of the game, characters were walking and could see the enemies they were going to fight (unlike the majority of RPGs in which the battles are random) to decide if you were going to battle them, or do something else. The same happens here, but some action/adventure elements were added, since you can fight an enemy hand to hand (more or less like in Zelda 64) without having to enter the normal command screen of an RPG game. But be careful! it’s not that simple, you can make different strategies to inflict more damage, like “hitting with the rhythm”. In the command battles, use of magic is something that can’t be absent and you can use it in this game. There are various types of magic and this can vary because of the elements; your character can take adventage since energy from the place you’re fighting in (forest, sea, valleys) can be absorbed to make an even stronger spell than normal. However you should be careful not to abuse this kind of powers, the character could absorb more energy than he can control and could be dangerous for him. Graphics are excellent. One of the resources Ito San uses to tell his story are the real time cinematics. We can say this game features a good quantity of them and they’re very well done (better than the ones in Zelda 64). The music is excellent and there’s music typical for this kind of games and very strange music, but always very well done. Our personal opinion on this game is that is one that not only RPG fans, but anyone who loves a good game should be waiting for. Definitely this was a very pleasant surprise for us. The music in Earthbound is really good. To make emphasis in this aspect, the Nintendo staff decided to include earphones so those who were playing Earthbound could appreciate it without all the noise in the event interfering. We think this is a good idea to introduce a game. The story in the game gets more and more interesting. The real time cinematics are really good. As in every RPG, you need to talk to other people to get hints. 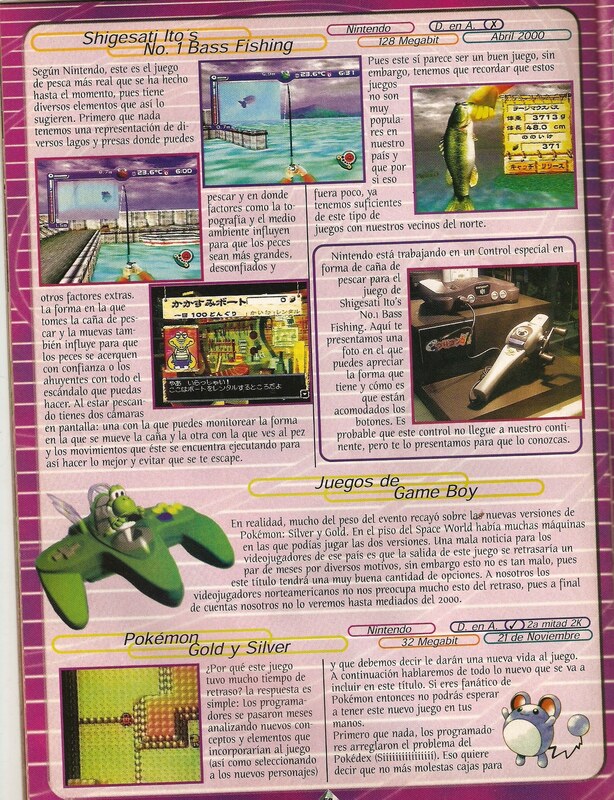 There’s also a scan of a brief blurb about the Nintendo 64 version of Shigesato Itoi’s fishing game and some stuff about the special fishing rod controller made for the game. I’ve never played it myself, I wonder how it is. I actually learned quite a few new things about Mother 64 from this. Sé tampoco español. Correge si no tengo razón. Just felt like typing that in Spanish! Thanks! Me encanto «Earthbound 3!» Es muy cómico ver personas lo estuvieron llamado Earthbound 3 en vez de Earthbound 2. Me confundió también. SOMEday, SOMEhow, we’re going to play this Earthbound 64. I just feel it. Not just Paper Mario, an interesting insight to it pre-Square fight. Back when it was to be Super Mario RPG 2! I would KILL to play it! So it seems EB64 was going to be an action RPG. The article seems to have drawn the wrong conclusion from their data source, since they mention the hitting a button with the rhythm feature. However, they attach this idea to the idea of action/adventure gameplay, rather than within a RPG style battle. Rhythm attacks appear in Mother 3 GBA. So perhaps they confused this rhythm hitting with the idea of action/adventure gaming. Definitely sounds like a misinterpretation on their part. it seems that Mother3 was going to be a lot darker on the n64,that robot’s face alone would creep me out if i battled it. I’m curious about the “energy from the battle enviornment” bit (6th paragraph). I know about each character having their own “special attacks,” but I don’t think there was any skills that took the enviornment into consideration…Unless they worded something wrong again. I am not sure what they are getting at. Mother 3 definitely had no energy absorbing from the environment as part of the game. The only thing that sounds similar to that is PK Magnet, but that’s absorbing PP from an enemy, not the environment. Naturally, some PK attacks are more effective than others depending on the enemy type, such as fire being more effective on enemies weak to fire, but that is not a novel concept. The only thing that sounds similar to absorbing more energy than they can control is lightning, but only loosely and only applies to an enemy that is making lightning (and having it reflected back by the Franklin Badge). The energy ‘thing’ in a way makes sense. All the battle picture I saw, they were fighting in a 3D environment (like Aidyn Chronicles: The First Mage [n64]). Do we have any pictures of any PK users fighting and a menu present on the screen? I’m thinking there might be an option for this power. Yeah, that sounds quite likely, in my humble opinion! After all, The Thousand Year Old Door also had a badge for insta-defeats to small enemies, so maybe they would have been able to apply that too. Actually encanto (with an accent on the o) can also be a verb on past tense, so you’re technically right. It’s nice to see someone still gets a kick out of this beautiful language of ours, huh? Oh, I see! Thanks! ¡Me encantó! This is kind of interesting, at least more interesting then the last article on EBC. Some things they said seem either inacurate or maybe true. It’s hard to tell. 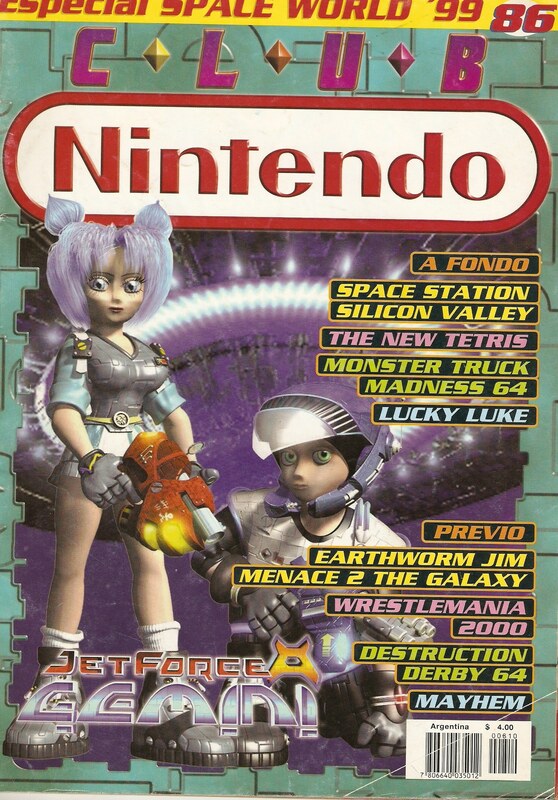 AW MAN, I REMEMBER THIS MAGAZINE. IT STOPPED COMING IN WHERE I LIVE.